Leslie Snow - Call on Dolly! 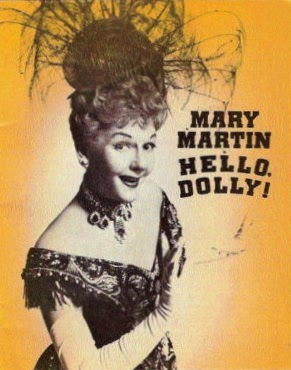 Around 1963, Mary Martin turned down the chance to do Hello, Dolly! on Broadway after Ethel Merman had turned it down. She went on to do Jennie on Broadway which ended up being a flop. She would, however end up doing the international company of Dolly. 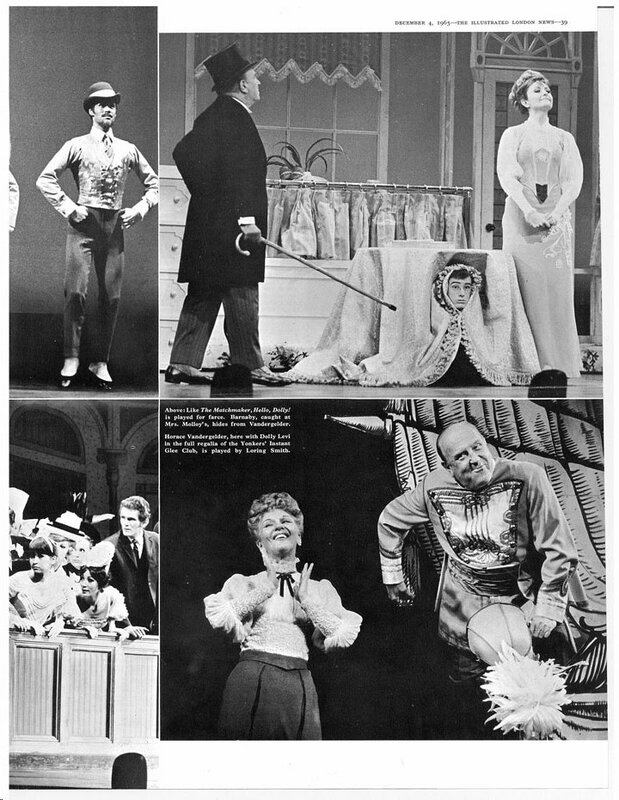 This production was put together and was billed as the International Tour. After touring eleven US cities, the plan was to take it to Japan, Russia, and then on to London. 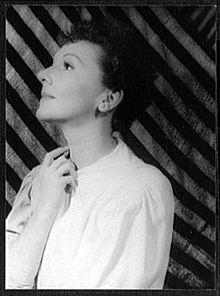 The International tour began with Mary Martin playing in eleven cities in the United States, before going to Japan, Vietnam and Korea, and finally settling at the Theater Royal in London for six months. 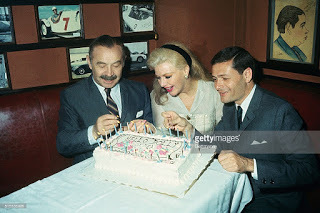 Actors Equity published an anniversary centennial book a few years ago that has as a landmark entry the International Company of Dolly in Vietnam Nam. The tour began in Minneapolis, Minnesota, and continued to Kansas City, Missouri, New Orleans, Louisiana, and Dallas, Texas with Carleton Carpenter as Cornelius Hackl and Loring Smith as Horace Vandergelder. Dancer Leslie Snow (nee Kimble) had just turned seventeen when she entered into the life changing world of Hello, Dolly! For about two months when Leslie first joined Equity they changed her name to Anne Leslie but it was changed back very quickly to Leslie Kimble. 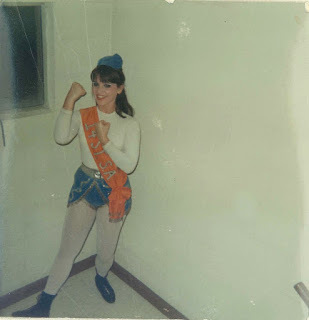 The next two and a half years would have a profound effect on Leslie’s life…these were the formative years.Her teacher was preparing many of her students for the New York City Ballet. Leslie was very well trained but was not right for the Balanchine look. Her teacher loved her but she didn’t fit the bill. 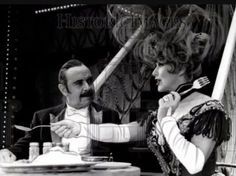 On a dare from a friend ( Leslie did not back down from a dare) went to the Palace Theater in downtown Los Angeles (from Culver City) to audition for a show that at the time, she knew NOTHING about, Hello, Dolly! 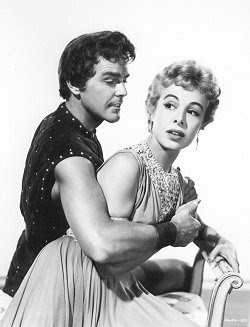 Gower Champion was someone Leslie was familiar with from the movies but had never met in person. Few people in LA were aware of the phenomenon of Hello Dolly! and neither was Leslie. 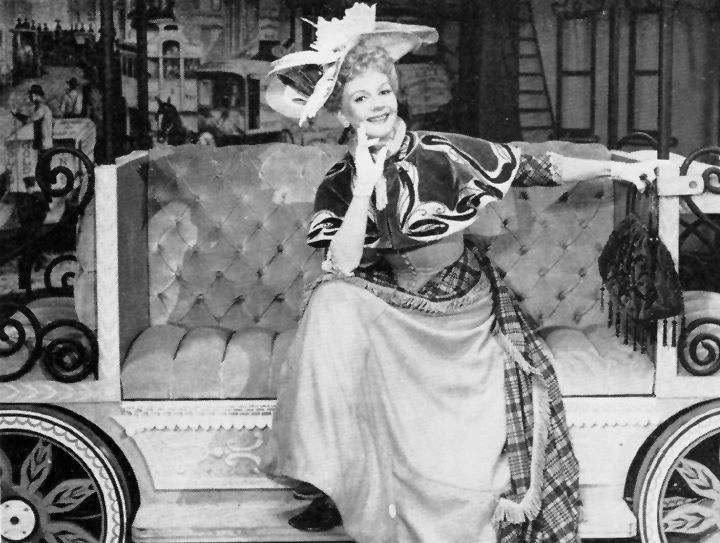 When Leslie auditioned, it was for Carol Channing’s first road company. Leslie went, according to her, looking like “Betsy Ballerina” with her hair in a bun. She walked across the stage and was” typed out”. She was told she looked too much like a ballerina. She was barely seventeen. She didn’t know any better. She stayed in the wings of the theater and watched the auditions. She got madder and madder because she knew she could do this. Carol and Gower during the recording of the original cast recording of Hello, Dolly! Again, he said, “Oh, really? Alright…show me.” He proceeded to work with her. They worked for about half an hour, just the two of them. 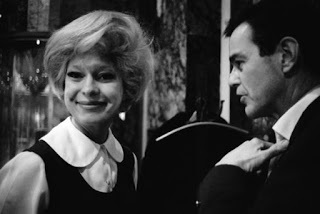 There were probably a few stragglers in the theater saying goodbyes, etc, but for Leslie, the focus was just on her and Gower. He thanked her. She was lucky he was not rushing off to some Hollywood party! By the time, Leslie had gone over to Gower, she had let her very long hair out of the bun. She was wearing bell bottoms, which she had packed for the day, and a bright red sweater. It was not the same ‘ballerina’ that she presented when she first entered the theater. She left and was feeling up. She felt that she had been respected. She really didn’t know at the time how any of this worked so she didn’t have any huge expectations. Weeks went by. She went back to ballet class and rehearsals. Her family did not have a phone. They were very poor.She had left her aunt’s phone number with Gower’s assistant, Lowell Purvis. About two weeks had gone by and her aunt came running up to the house and gave her the message that she was supposed to call the office for Dolly. Leslie went across the street to the payphone. She put her nickle in and called and she was told that Mr. Champion wanted to offer her a replacement part in the Mary Martin international company of Hello, Dolly! The tour had only been running, at this time, a few months. The production was very new but they were well bonded. She joined the company in Seattle and learned the show there. She was just seventeen when she left school to join this company. It was just after 11th grade. 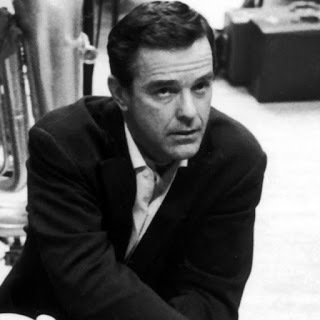 Leslie joined the show in late summer of 1965. It could have been between late June,and July….summer of ’65 at any rate. Her parents gave her permission to go. Her father was a ‘stage father’. Her mother supported him and together, both parents had supported her ballet studies. She embarked on her own sans chaperone. 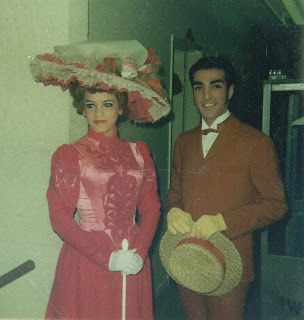 She joined the company along with Janyce Nyman. . Leslie was from Culver City as stated earlier and Janyce was from Hawthorne….six months older than Leslie. Later, they bonded with Max Showalter in the Grable company. He affectionately named Leslie Ethel and Janyce, Mildred. The adults in the company kept a watchful eye out for them. 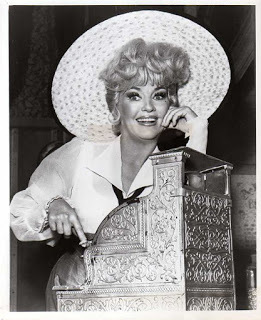 Skedge Miller, who was a terrific character actor (played the Judge in Dolly) was like a grandfather to Leslie. There were three older guys in the company who insisted later that Leslie finish high school. They hounded her until it was done. She had never been out of California and even rarely out of Culver City. She was terrified. She admits that she was so green. She was a very good ballet dancer but musical theater was all very foreign to her. Leslie and Janyce did not work with Gower. They worked with Lucia Victor, Lowell Purvis, and Bob Avian. Leslie was familiar with Mary Martin prior to working with her thanks to Peter Pan and Annie Get Your Gun on TV. Leslie felt like she knew her. At that time, she was the top of the heap in musical theater. In Leslie’s mind, there was no one better. She was very welcoming right from the beginning. She had that Texas stock in her. Leslie kept up with her through the years up to her passing in 1990. Mary’s husband, Richard Halliday, was also very kind to her. It was quite an adjustment going from Portland to Japan. There were interpreters for the show. The audience wore headsets that translated everything for them. numbers didn’t get applause. At first, it was disconcerting for the actors expecting that payoff. The applause WOULD be there at the end and on the street, they were swarmed. Martin learned a little Japanese for the curtain speech. That warmth came through. 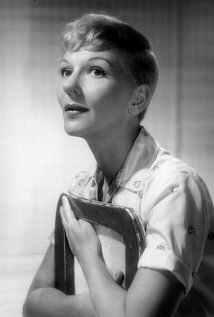 The thing that Mary Martin had was that she could relate to you on stage one hundred and fifty percent and still reach the back of the house. Leslie says she has never seen that quality in anyone else. It was so remarkable. Carleton Carpenter also refers to that in his book. It was while in Japan that the company learned they would be going to Viet Nam instead of Russia as planned. They were in Japan for about a month. When Leslie came into the production,she was told they would go onto Russia and pass through India as a part of the itinerary. Leslie doesn’t recall if they were playing there or just visiting. Within a month of Leslie getting into the show, the Iron Curtain slammed shut. They were in Japan when a meeting was called on stage. They took a vote anonymously to decide whether or not the company wanted to go to Viet Nam. If anyone had said no, they would have been replaced. David Merrick came on the stage to break the news to the company. Speaking of Mr. Merrick, he was always very kind to Leslie. When they were in Viet Nam, Mr. Merrick and Mary Martin arranged a reunion between Leslie and her boyfriend who was serving there. At first the reunion was very emotional, overwhelming and challenging. Mr. Merrick saw Leslie crying at one point and he came over to listen to what she had to say. He said to her, “Oh my gosh! I hope we didn’t make a mistake. It’s going to be OK.” That was a very human thing to do. No one could believe it because his reputation was that he was very cold and intimidating. Prior to going to Viet Nam, Leslie had no fear in advance. Once she got there, she realized she was “in the war”. During the day, they would take the bus to whatever place they were doing the show. They could not travel those same roads at night. Once, they had a bus break down. Everyone was in a panic including the bus driver. This had to be fixed immediately or it could have been bad. As far as their accommodations were concerned, they were billeted. They had a little courtyard in the center and there concrete rooms that went straight up. They stayed in very sparse chambers with just a cot. They did not have four star accommodations. Lodge invited just Mary and the principals to an Embassy reception but not the crew, chorus or musicians….David Merrick complained to Lodge that he did not think that was right. In total, there were about seventy people in this company, which was unheard of. That was everybody, directors, performers, musicians, producers, and crew. Nothing like this had ever been done before. We are talking about the middle of the war. The marines had just gone in a few months prior. They were touring pretty far north. Nha Trang was the furthest north they got…that is where her reunion with her boyfriend, David Snow, took place just before the performance. When Leslie was reunited with her boyfriend, he had only been there a few months himself and had been wounded twice.It is in the special. When they said goodbye in Saigon, it was very sad. Neither knew if they would ever see each other again. A number of years later, David became Leslie’s husband, in 1977. He passed away in 2010. Doing this show, they could not help but be aware of all of those men out there watching. There were hundreds upon hundreds of military personnel, wounded and unwounded, American military men and some women …….There were also soldiers from Australia, New Zealand, South Korea and of course South Vietnamese. America would be welcoming them back soon. For many that did not happen. The veterans that returned were not welcomed and many died serving their country. They were only in Viet Nam ten to twelve days. It felt like they were there much longer. They were in this very poor country that was already showing the signs of great suffering of the people and the military fighting the war. In Saigon, at night, there were poor and lame men, women and children living on the streets. There was also still a wealthy upper class that managed to live well. A lot for a young seventeen year old to take in. One of their male dancers, Rec Russell, was so impacted and moved by what they witnessed in this war-torn country that he later became a Green Beret and served in Viet Nam. From Viet Nam, the principals went on to London. Martin wanted to take EVERYONE, but British Equity would not allow it. 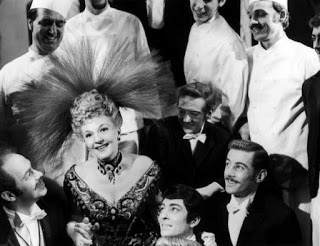 The rest of the company knew that they would be joining Betty Grable for her national tour. That was thrilling for all who had grown up with her movies. She was lovely and welcoming. She had started out as a singer in New York but was a true movie star. She had a very soft sweet voice. 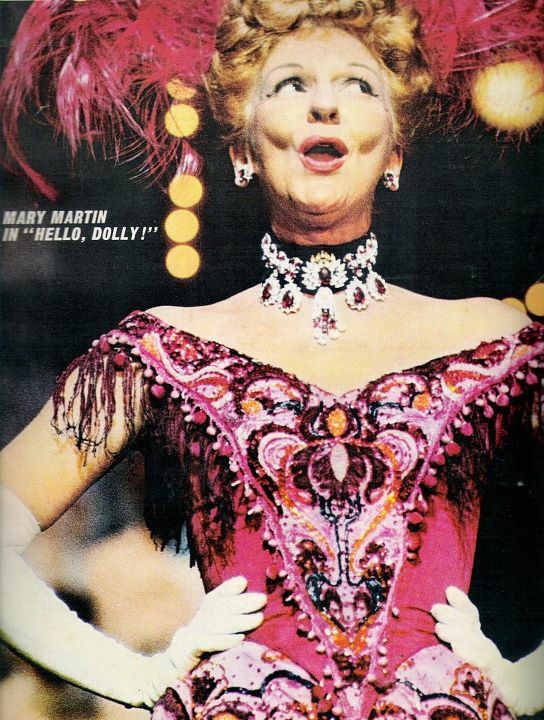 This was all before she would go on to replace Martha Raye on Broadway. Although she had not been diagnosed with the cancer that would later take her life, she fought what was called “Vegas Throat” during the run in Las Vegas. Vegas Throat caused everyone to have respiratory issues due to the extreme dry heat and excessive air conditioning. There was one incident on stage that was so difficult. She started to cough during I Put My Hand In, her opening number, and began to cough and the actors were in a “freeze” for what seemed an eternity unable to go on. Anne Russell, Grable’s standby, had to go on in the middle of the show. That was probably the beginning of it. Add to that difficulty that while in Vegas, they did two shows a night. Grable had a more subtle approach to Dolly than Martin. You really had to listen to Grable. She had warmth as well but a more intimate quality. She had a very light voice and had to be miked heavily. She had a terrific sense of humor, a self deprecating humor. They were on the road for several weeks before going to Vegas, where they would remain for the next nine months. Grable took an interest in Leslie and Janyce and was very protective. She was always inquiring about that they were doing and making sure that they weren’t getting into trouble. She was under a lot of pressure. The Riviera in Vegas was still run by the mafia. If she wasn’t able to go on, she was harassed. It sometimes got very ugly. They did have one incident where someone tried to sabotage the production by going to the board and cutting electrical wires. They never found out who did it. Once again, they did two shows a night. It was a tab version of the show. It was a smaller version of the show. All of the musical numbers were there. It was just the dialogue that was cut in places. 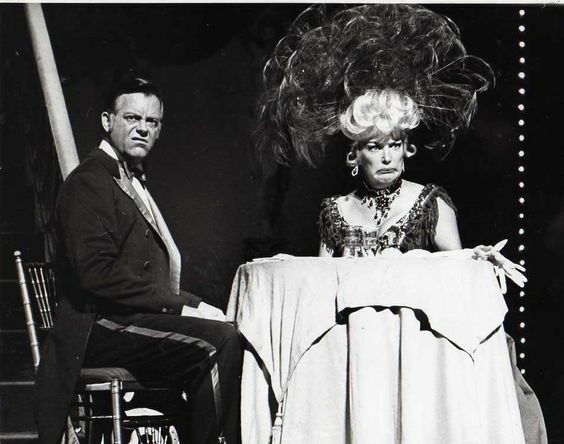 During the Vegas run, they had several outstanding actors that played Cornelius such as Arthur Bartow and Peter Walker. 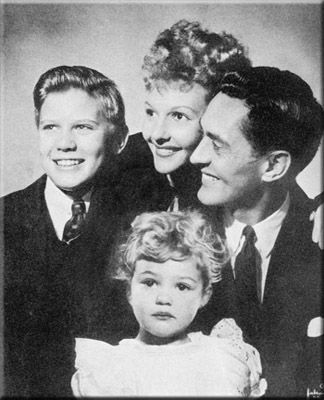 The late Danny Lockin played opposite Betty Grable and Ginger Rogers as Barnaby. 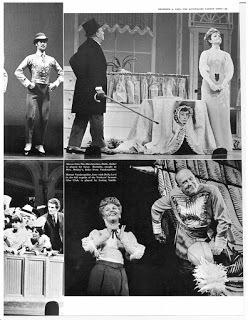 Danny later played Barnaby in the Streisand Hello Dolly! After the nine months in Vegas, Grable left the company to go to Broadway. 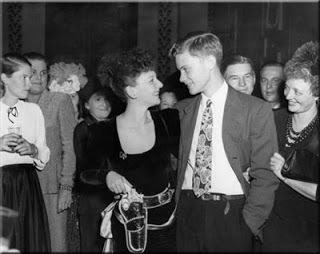 The company then joined Ginger Rogers at the Dorothy Chandler Pavilion in Los Angeles. Working with Rogers was a whole different experience. She never looked the other actors in the eye on stage. Part of that may have been based on film technique of looking past other actors. It was “ALL about Ginger”. She was actually very nice in some ways, but she would give notes to her Vandergelders, David (Davey) Burns and Coley Worth every night after the show. They would sit on the little “Vandergelder” stool still in their costumes. The first time that Leslie went on for Minnie Fay, she was terrified because she had to do it with Rogers, she was so exacting. Leslie didn’t knock her over or embarrass herself in any way. She passed muster. Leslie was strictly part of the national companies. There was never any thought that they would be eventually going to Broadway. Leslie stayed with the Rogers’ Company for nine months. 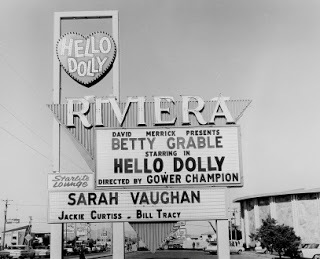 All in all, her Dolly years encompassed two and a half years. The Vegas run alternated with Dorothy Lamour leading the company. Dorothy came into the same company led by Rogers who did not want to do two shows a night. Rogers needed her sleep. She had very pristine habits. There is one story that Leslie shared in which a party was being planned for one of the women who was leaving the cast. Leslie was asking everyone in the company to throw in something to help pay for the party. Not only did Rogers donate money, she showed up for the party. Her hair was down and she showed up very casually in jeans with no star pretense. She sat on the floor in Leslie’s apartment and stayed for a couple of hours. and Max Showalter playing off of each other. It was magical every single time. to me legendary described her exalted musical theater reputation and performance aura but as a human being she was kind and accessible to me…I don’t know why. Betty had an intimate professionalism and hutzpuh (could laugh at herself too) but a maternal watchfuness over myself and Janyce plus she knew she could trust us not to diss her behind her back. off color comedy routine. It was beautiful and she was not happy. 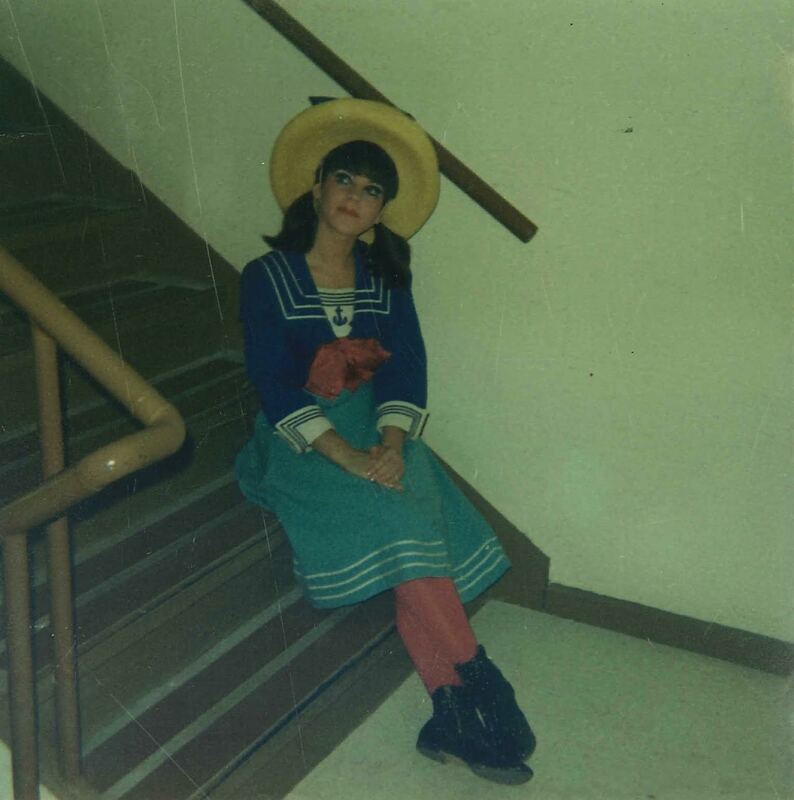 I had the honor of going on in San Francisco as Minnie Fay before he left. He was so kind to me that night. What a true theatre legend he was. The human side of Ginger was described to you in our interview. The short time with Dorothy Lamour ( I loved her “Road movies and Tarzan films as a kid) was gracious, humble and her acting was warm and realistic.